Today’s Payne Phalen neighborhood arose from a long legacy of pioneering, successive immigrant communities who left their mark on the area. Early Irish, Germans, Swedes and Italians made the East Side their home. During the Industrial Age, Payne Phalen was site of large industrial sites for Whirlpool, Hamm’s Brewery, Seeger Refrigerator Company, and 3M. All employed 1000’s of local residents but in the 1970’s these large manufacturers closed. More recently, waves or new Americans from Asia, Latin America and Africa continue our rich immigrant history and are revitalizing the community’s cultural life and economy. 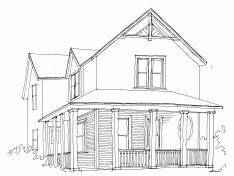 “Tour Saint Paul: Payne Avenue” created by Historic Saint Paul, a valued community partner and resource for historic preservation. “An Introduction to Payne Avenue” Brought to you by Historic Saint Paul, Saint Paul Historical is a free mobile app that puts Saint Paul’s history at your fingertips. Explore the people, places, and moments that have shaped the city’s history. Go to http://saintpaulhistorical.com/about/ to obtain more information about Payne-Phalen. The East Side Freedom Library (ESFL) is an outstanding resource for learning about immigrant and labor history on the East Side and beyond. ESFL now is home to the Hmong Archives, a rich collection of archival material chronicling the contributions of the Hmong community in MN and Saint Paul. Hmong in MN: Hmoob Hauv Minnesota exhibit and collections at the MN Historical Society. Hmong American Partnership has a range of services and resources at 1075 Arcade Street and other locations. Hmong Village is a bustling and popular local shopping mall featuring a wide variety of vendors and businesses. A visit to Hmong Village offers a broad array of taste and shopping adventures for everyone. Many new neighbors who are making their home in Payne-Phalen arrived recently from Burma. The Karen Organization of MN is a good first resource for connecting with Karen resources and information. The KOM Facebook page is a good start to learning more about Karen culture and issues. CLUES Comunidades Latinas Unidas En Servicio es una organización sin fines de lucro diseñada por Latinos, para Latinos. Nuestros programas y servicios conectan familias a recursos, clases, instituciones y sistemas y crean un ambiente para que nuestros clientes aprendan, se involucren y sean fortalecidos, incluyendo inmigrantes recién llegados y familias de bajos ingresos quienes sueñan con un futuro mejor. A linguistically and culturally relevant resource and service nonprofit organization by Latinos for Latinos. The Consulate of Mexico in Saint Paul is located at 797 East 7th Street,Saint Paul, Minnesota, 55106. The Consulate provides valuable services to residents in Minnesota, North Dakota, South Dakota and northern counties in Wisconsin. The Consulate’s mission is to represent Mexico; to preserve relations with federal, state and local authorities and to strengthen friendship and cooperation, according with Mexican foreign policy. Payne Phalen’s traditional housing remains a strong attraction. Worker housing built in the late 1800’s and early 1900’s constructed in Italianate, Folk Victorian, Queen Anne and Bungalow styles which contribute to the unique charm and character of each neighborhood. Parts of the neighborhood, close to Phalen Park, also have rambler and ranch-style homes built in the 1950s and later. The neighborhood character physically reflects this history with its varied architecture, housing stock and businesses. This history is also reflected in varied local celebrations, and a variety of social networks. This area of Saint Paul is a youthful and energetic neighborhood. One in three people were under the age of 18 according to Census 2010.